If you’re designing a pool for your property, but you don’t know where to start, then you’ve come to the right place. It’s true, you’ll have plenty of priorities to weigh when it comes time to design your pool. 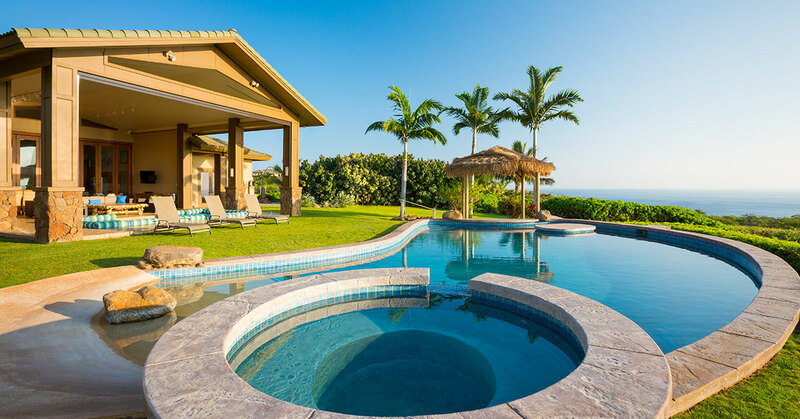 In this article, we’re going to outline and break down some of the considerations that you should weigh before you break ground on your pool (or before you let us perform your pool excavation for you!). When it comes to your pool design, you’ll want to consider its shape, depth, additional features, and the surrounding landscape. First thing’s first, what shape would you like for your pool. Most folks opt for a geometric or an organic shape. You may be content with a pool that has a perfectly rectangular footprint, or you may want a pool with a kidney bean shape, or perhaps something else entirely. Take a keen look at your property, and determine a pool shape that works well with the space you have available as well as the overall look of your landscape. Next, it’s time to consider the depth of your pool. If you just want a pool for cooling off and some short swimming, you probably won’t need a pool that’s any deeper than 5 or 6 feet. If you’re tacking a diving board to the end of your pool, it’ll be necessary to go much deeper. For swimming pool depth guidelines, take a look at the International Swimming Pool and Spa Code from the International Code Council. You may also want to include a zero-depth entry area if you have toddlers or a dog, since it’s the safest way to enter and exit a pool. Are you going to build a hot tub that incorporates into your pool? If so, you’ll have to plan out its location and shape as well. Most folks like to incorporate a spa into the corner of their pool, and it’s possible to use the spa as a source of heat for all of the pool water. Want to incorporate a waterfall or fountain? Well you’d better add that to your design. Consider building terraced waterfalls, or a waterfall that feeds from your pool to your spa (or vice versa). Waterfalls and fountains add some audible beauty to your landscape, and they boost the value of your property. Finally, consider the landscaping around your pool. You’ll need plenty of space to walk to and from your pool—and possibly around your pool—so you may want to hardscape a sidewalk. Then, you can integrate rock beds, planters, trees—you name it. When it comes time to dig into the earth to start your pool build, we’re the company to call. JRP Services provides pool excavation services for folks throughout Houston. For the perfect shape, and a minimal impact on the property surrounding your new pool, you can count on the careful, calculated team here at JRP. Get in touch with us today to get started!